Extension Order Markers is intended to mark orders with graphic icons (or markers) and add text notes in admin panel. Now all important orders will be labeled with graphic colored markers. They are immediately catch your eye and greatly simplify the search for the required information. Text notes remind you or the staff for additional information about the order. Also you can get any Magento 1.x/2.x services turnkey from our team. 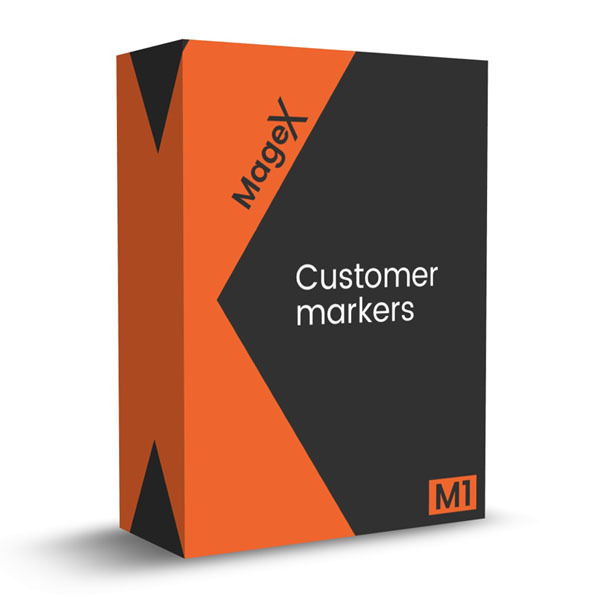 Extension Order Markers is intended to mark orders with graphic icons (or markers) and add text notes in admin panel. Now all important orders will be labeled with graphic colored markers. They are immediately catch your eye and greatly simplify the search for the required information. Text notes remind you or the staff for additional information for order. provide additional information for orders using text notes. You can mark any order with marker right on the page with a list of all orders. You can delete, edit existing markers and add new markers to system. 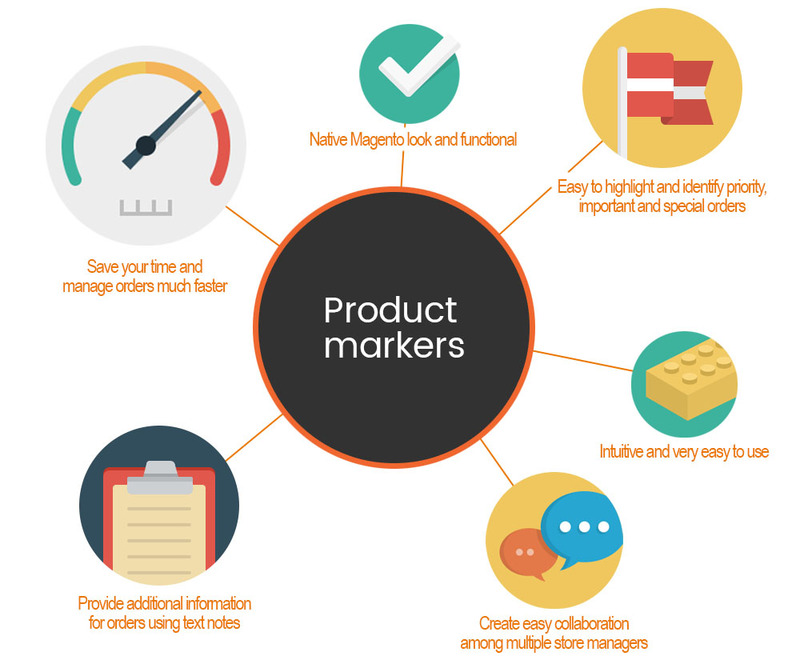 There are several integrated marker icons in extension. Also you can use 2 free pack of icons (total of 80 icons) that come with the extension in separate folders.